Mitchell J. Silver, the commissioner of New York City Parks Department, tells us he’s 58 years old. But with his vibrant enthusiasm and energy for parks, fitness and life in general, it’s hard to believe. Only as he details a list of his achievements and accolades over the years does his age show. Silver, who oversees the management and operations of nearly 30,000 acres of city parks, calls himself the “commissioner of fun,” a title he strives to live up to every day. 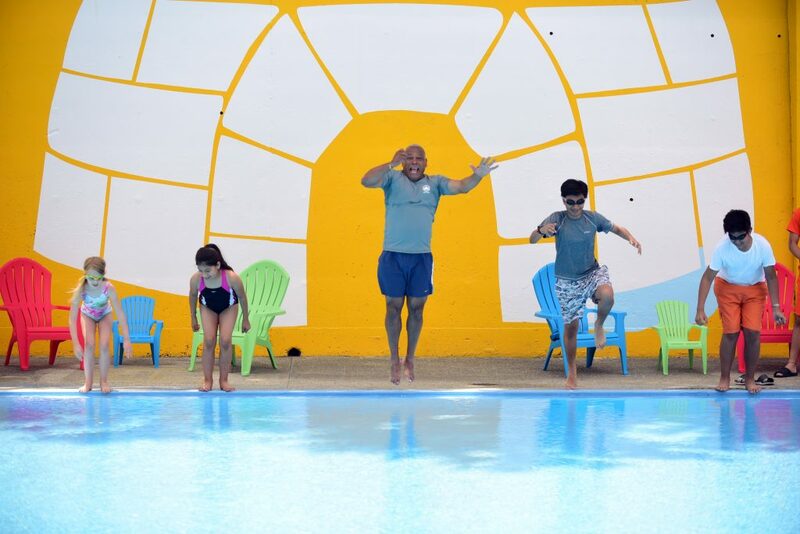 This summer, Silver launched “Cool Pools,” an initiative to renovate public pools, celebrated making Central Park car-free, and increased accessibility to parks for all New Yorkers. If you want to feel good, follow his Instagram and see him sliding, swinging, running, jumping, swimming, kayaking and more. Silver is training for his first marathon this November (with his best friend from college) after completing four half marathons. 6sqft jogged beside the commissioner and got his running commentary on the biggest challenges facing NYC parks, what he attributes his success to, what we can expect for the future and where he buys his running gear. What is your overall goal for NYC Parks? One of my top priorities is making our parks system equitable. That means making sure that every neighborhood—especially historically underserved neighborhoods—have a quality park that is safe and well maintained. In a city like New York, where many people don’t have yards, parks are essential to our physical and mental well-being. They are places where people connect, relax and recharge. The City’s first major step towards a more equitable parks system is our $318 million Community Parks Initiative (CPI), through which we are completely renovating 67 parks across the city in neighborhoods with higher-than-average concentrations of poverty. These are all parks that haven’t seen improvements in twenty years or more. You’ve made great advancements for our parks. What do you attribute your successes to? I strongly believe in the power of public space and the positive impact it has on people. At NYC Parks, we plan for “place” but more importantly we plan for “people.”We introduced place-making into our parks system to enhance the experience of our park users. One example is “Cool Pools”. 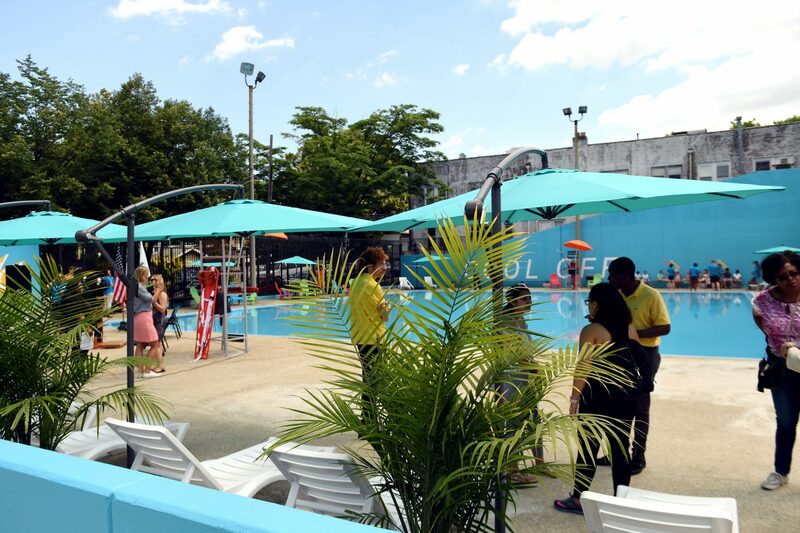 We set out to make public pools look fresh and inviting by adding bright paint colors, fun wall art, cabanas, lounge chairs, umbrellas and plants. As a result, we increased attendance by 20 percent so far this season and the feedback has been extremely positive. Much of the progress we’ve made towards an equitable parks system has been a result of CPI, as mentioned above. We are also drastically improving some of the city’s largest parks through the Anchor Parks initiative. We’re making $150 million worth of major improvements at five large parks: St. Mary’s Park in the Bronx; Highbridge Park in Manhattan; Betsy Head Park in Brooklyn; Astoria Park in Queens; and Freshkills Park on Staten Island. More than 750,000 New Yorkers live within walking distance of these five parks, and the new investment will bring the kind of major amenities needed more in these bigger parks, like new soccer fields, running tracks, bathrooms and hiking trails. Since day one as Parks Commissioner, a top priority of mine has been to get projects done faster. We have streamlined the capital process to make sure there are less delays and we are improving and building parks quicker. As an urban planner, it’s important to me to create seamless public realms. I spearheaded a program called Parks Without Borders, through which we are lowering or removing perimeter fences in parks throughout the city. This makes our parks more open and welcoming. Parks should flow into the surrounding sidewalks, not be cordoned off with tall, intimidating fences. What neighborhoods do you think are most underserved by parks in the city? We focus on the parks that haven’t seen investment in 20 years or more. These underinvested parks exist in all five boroughs. 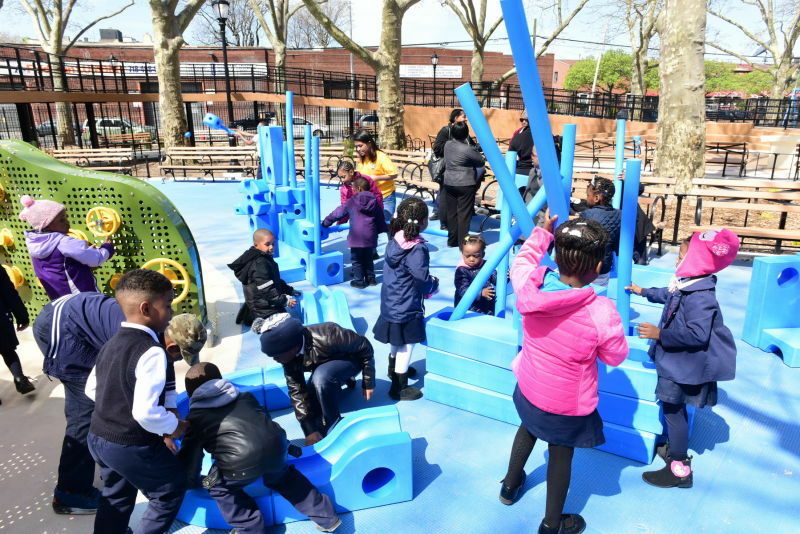 The Community Parks Initiative and Anchor Park Initiative were developed to address the lack of investment in parks and playgrounds in underserved neighborhoods through the city. What is the biggest challenge facing NYC parks right now? Our biggest challenge is completing the 580 active capital projects as quickly as possible. We are trying to get these much-needed park improvements done quickly so we can turn the parks back over to the people. In the past, it would take 4 years or more to complete a capital project. Since I streamlined the process, it now takes 3 to 4 years. We are working hard to maintain this shortened timeline. What are your top three summer activities you’re looking forward to in NYC Parks? Running in the parks! 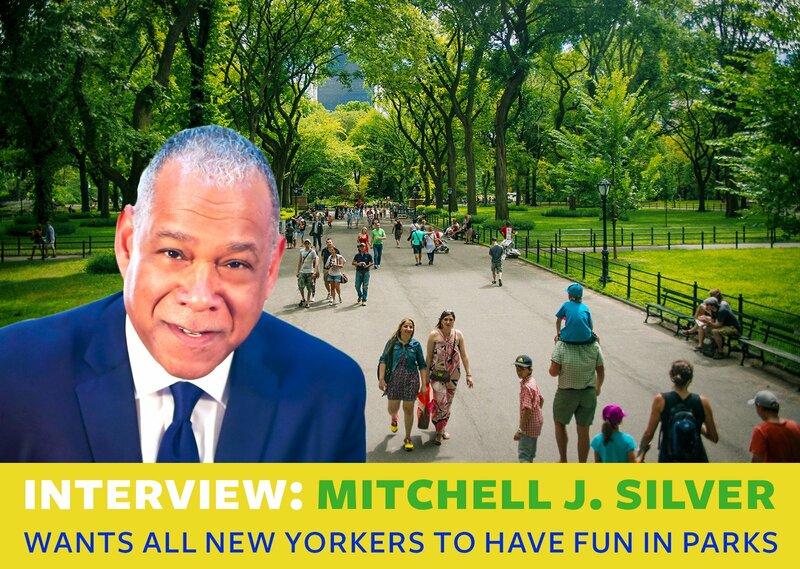 New Yorkers can follow my marathon training on Instagram and Twitter (@mitchell_silver). I’ll be sharing park-related running tips like my favorite running routes and group runs. Running shoes: Brooks and Nike. NYC running race: It’s a tie. New York City Half Marathon and Brooklyn Half Marathon.